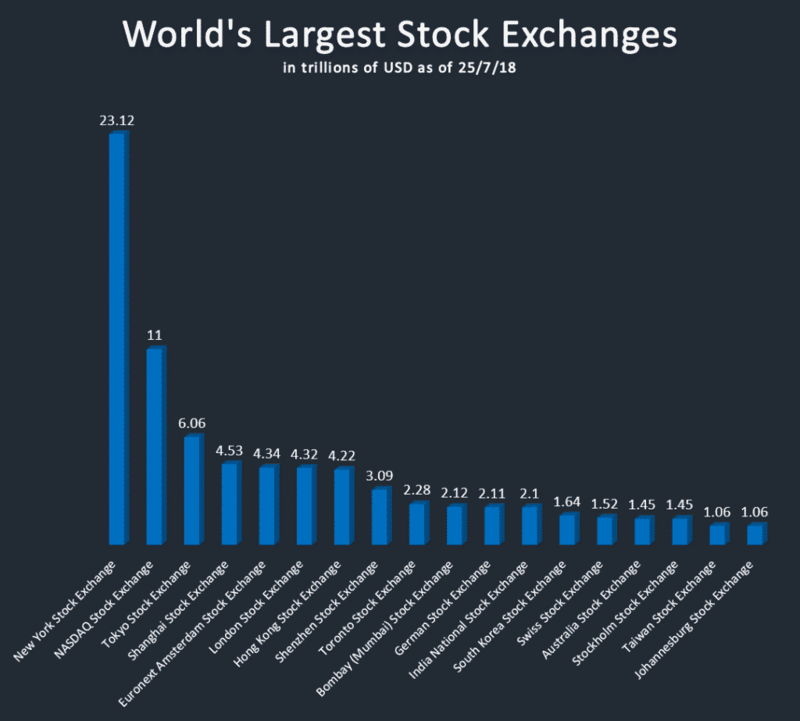 The United States has two of the largest stock exchanges in the world – The New York Stock Exchange (NYSE) and the National Association of Securities Dealers Automated Quotations (NASDAQ). NYSE is the largest with a market cap of just over $23 trillion, that’s around $12 trillion more than second largest stock exchange NASDAQ. Some of the biggest companies listed on NYSE include the tech giants Apple, Google, Microsoft and world’s 4th largest company by market cap – Amazon.